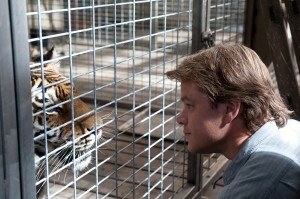 Scarlett Johansson stars in the new Cameron Crowe movie, We Bought a Zoo. Scarlett once again looks beautiful as a zookeeper that tries to bring sense to Matt Damon’s world after he ambitiously bought a zoo. The last time I interviewed Scarlett was for Iron Man 2 when she played Black Widow. Back then my head nearly exploded talking to her. I’m not sure why I was so excited. This time I tried to keep my cool. Here is the interview for Iron Man 2 where my head nearly exploded…..
Matt Damon stars in the fantastic movie We Bought a Zoo. It’s Cameron’s Crowe’s latest movie and also stars Scarlett Johansson. I catch up for a chat with Matt about midlife crisis (heavy! ), him wearing a work belt in the movie, and his life changing diapers. True Grit is the new Coen Brothers movie and it stars the legend Jeff Bridges, Matt Damon and newcomer Hailee Steinfeld. For a young girl she nails her role in this great Western. 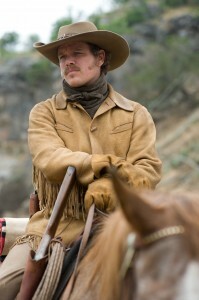 Matt Damon has fantastic facial hair in this and is not the coolest dude at the beginning of the movie. 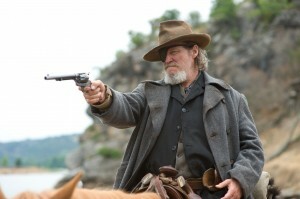 I caught up with the actors at the red carpet…. 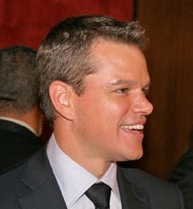 The movie is THE INFORMANT and stars Matt Damon and is directed by his buddy Steven Soderbergh.